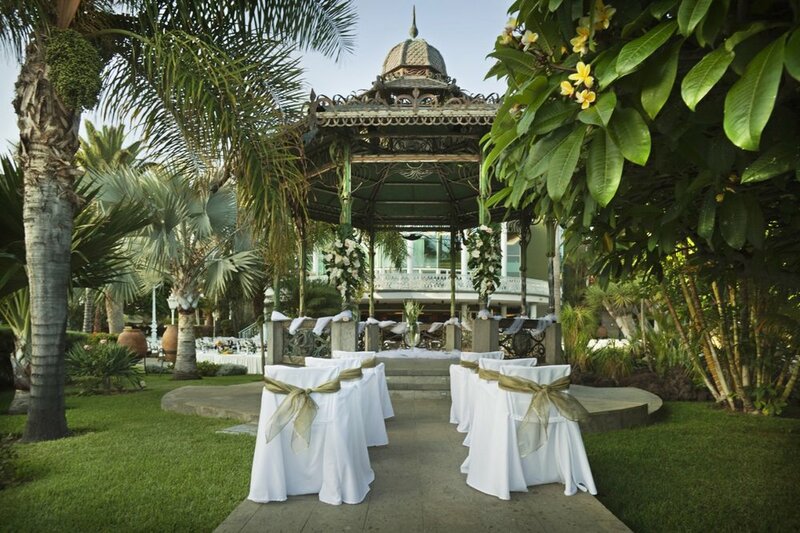 The ceremony takes place under a romantic gazebo, surrounded by palm trees and a river. 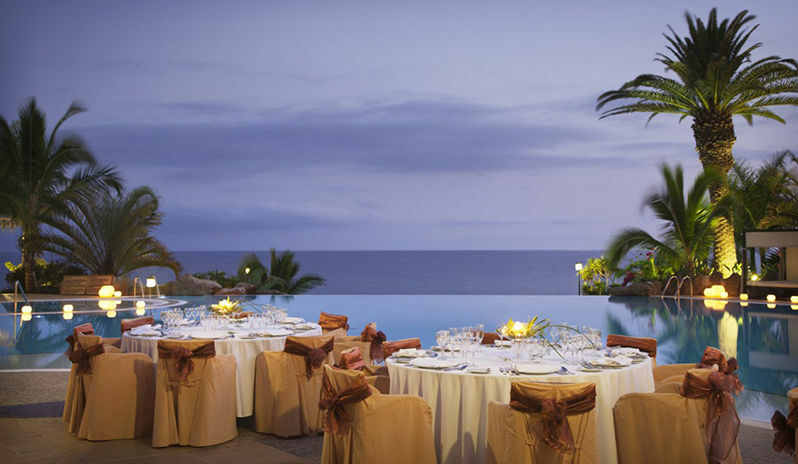 After this gorgeous Tenerife wedding ceremony, enjoy cocktails in the venue's romantic garden, followed by luxurious dinner by the infinity pool with impressive sea views. Your Tenerife wedding after-party area is available too, where you can keep dancing till the early hours. Buffet menus available from the minimum of 50 people from 85€ per person. You may continue the party in the venue's private bar, where open bar option is available and includes a number of various drinks. We recommend hiring DJ or a band to keep your guests entertained. weddings with an overall venue spend over 7500€ receive various bonuses, such as complimentary wedding suite, champagne, breakfast, SPA, complimentary 1st year anniversary night in this luxury Tenerife hotel and much more. Chairs & tables include in the menu price. We can rent out different furniture if you wish.